We think Canada looks better when there is nothing between it and you, no big bus windows, no steering wheel, just the wind in your hair and the open road. We enjoy using our own pedal power, whether it is on a food tour in the city or on the bike trail in the mountains, pedal power is always a favourite. Stanley Park is a star attraction in Vancouver - for good reason. We think the best way to explore this urban green oasis is to bike the famous Sea Wall. 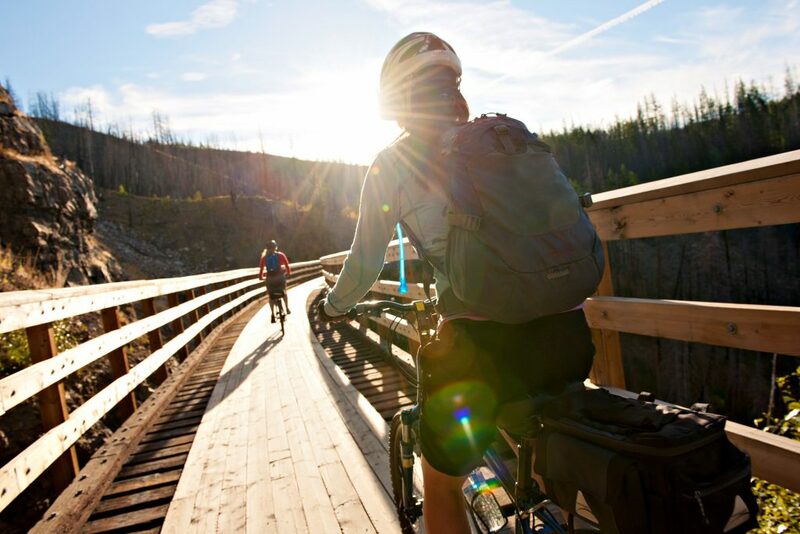 There’s nothing quite like the freedom of hopping on a bike and exploring a Canadian destination at your own pace. From the west to the east coast, we can make plenty of suggestions where a bike can be your best friend. Urban landscapes, seaside, national parks - they’re all waiting for you to discover. Can’t get enough cycling? Map out a multi-day journey through your destination. It’s a great way to see Canada - in the open air and on the open road for lasting memories.